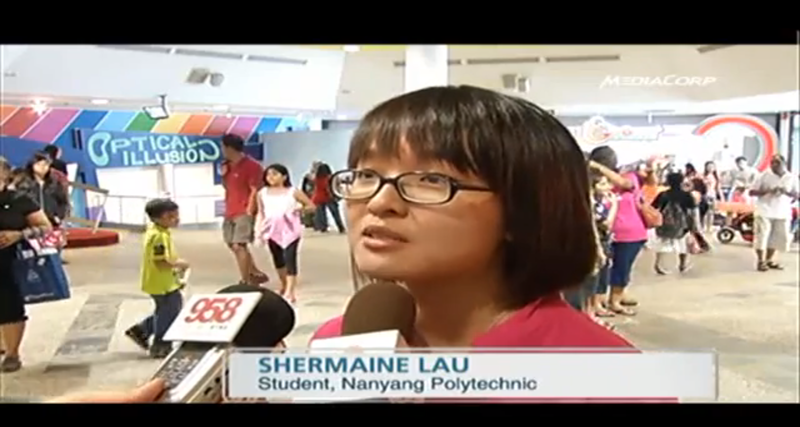 It was my first time on air LIVE on Channel NewsAsia's Talking Point the night before at 8pm. Three years ago, I had the opportunity to went on air across various news channels after receiving an award from PM Lee (Hallelujah!). That's me from 2011, looking tired from all that overworking and studying. This post is dedicated in honour of the very noble and passionate people who work behind the scenes. I don't just mean the people working behind the camera— it is, in fact, the migrant workers who have their place here in this world, in Singapore. I actually have a lot of opinions but the airtime just wasn't enough, so this is just some of my thoughts (with interesting behind the scenes information). My dear friend, Damian, was supposed to go on air after Vesak Day but it turned out that he was going overseas instead. He asked me to take over his place as I live near the dormitories of foreign workers. Damian and I were in a dedicated team who did a short docudrama on migrant workers last year. I hastily took up the offer to join in Talking Point's conversation as nightmares of people ruthlessly turning down my 'PLEASE-let-me-interview-you' offers flooded my mind. It was just a day away from the actual broadcast of Talking Point, thus I decided to chip in (thinking that it was just an audio-only conversation)! I must say that the producers of Channel NewsAsia are highly professional and excellent in briefing me about the programme. Before going on the show, I've read very nasty comments from Singaporeans who said that they are dangerous and should be kept away from the public eye. That is definitely not an option at all. They have a very important place in our land without natural or human resources — we need them and there is no need to fear them, at all. So the technician, Kelvin, who liaises with MediaCorp, came to my house and set up the workstation two hours before the actual programme. Most of the content of the show is impromptu — guided by the script and producers. We did a rehearsal about 15 minutes before 8pm, and the host, Steven, was great in switching voices on-air and off-air. Everything happened so quickly — there wasn't even time to go to the bathroom during the commercial break. The invited guests were very knowledgable about the situation — I'm glad they took time off to be part of the show. I felt that it was about the breadth of opinions instead of going in-depth, we could hardly get into a debate about the migrant workers issue. My stand is still this: they should not be confined within the four walls of recreation centres, but the venue is to be viewed as an alternative location for socialising to happen.